Our Stockton park bench provides buyers with the same solid durability and maintenance free beauty found in all our vinyl coated expanded steel tables. 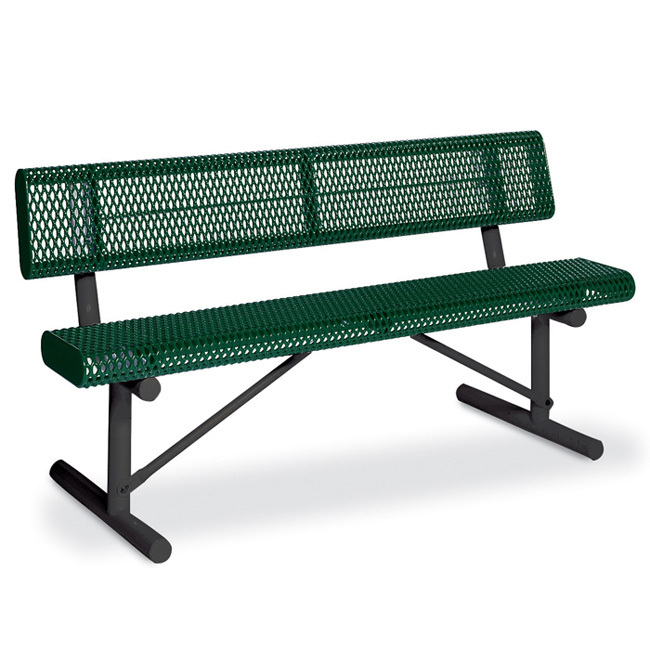 Seat and back are 12″ wide rolled edge steel on 2 3/8″ round steel legs. Back and Bench Size: 12" x 72"